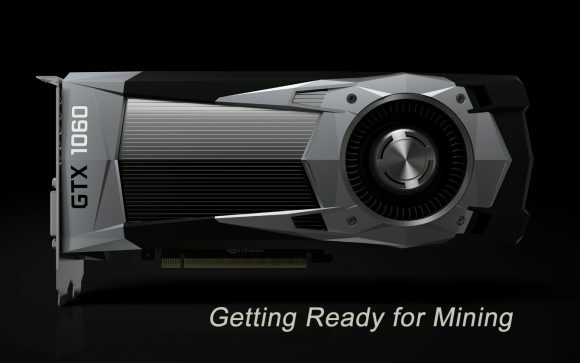 There is some information circulating around in the last couple of days that Nvidia is making a video card specifically designed for mining as well as some speculations that AMD is doing the same as well. While are know for a fact that this is true for Nvidia, we are having some doubts about AMD doing it with all the AMD GPU shortages we are seeing lately and the news they can continue for the next few months. With the lack of AMD GPUs on the market the miners started buying Nvidia GPUs, so very soon we are most likely going to see cards such as the GTX 1060 and GTX 1070 getting harder to find on the market. Higher-end GPUs are probably going to have better availability for now, but who knows if miners will move on to these as well if there are not other options available. We know that Nvidia is focused on gamers and not as much interested in mining and miners like AMD for example, so they do not want to have availability issues of their GPUs just like it has happened with AMD now just because of the miners. So they have apparently figured a solution to the problem – just make a GPU intended for mining and miners and sell that to miners instead of their gaming-centered products. 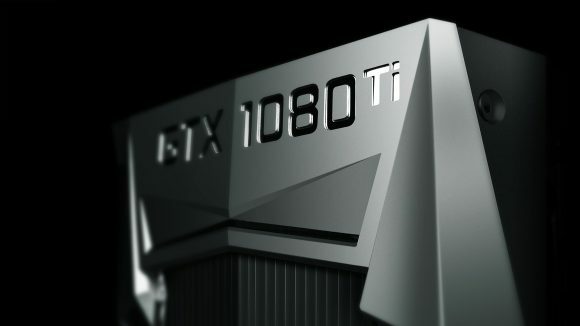 The card that they are building is an NVIDIA Pascal GP106-100 GPU that comes with no video output connectors, passive cooler (still needs airflow for proper cooling) and much shorter warranty – just 3 months. The idea is to have a more affordable price wise option for miners that can be used only for mining (hence no video outputs) and that could make it even more interesting alternative. The crypto mining GPU from Nvidia is apparently based around the consumer GeForce GTX 1060 9Gbps model and the price should be cheaper than that of the consumer model. The information that we are seeing about the GP106-100 mining GPUs mentions some numbers regarding mining performance, the following numbers are for 8x of these GPUs: 200 MHS for ETH, 2500 Sol/s for ZEC, 4400 H/s for XMR. These numbers translate to about 25 MHs for Ethereum, 312.5 Sol/s for ZCash and 550 H/s for Monero and only the ETH number seems surprisingly high considering what we’ve seen in our recent test of the GTX 1060 9Gbps. So while the GPU might be essentially the same as on the consumer GTX 1060, there could be some differences in the video memory… maybe 256-bit memory bus or optimized memory timings intended for better performance. With a sub $200 USD prices these mining oriented GPUs could be interesting, but the 90-day warranty period could be a bit of a setback. We’ve left the not so great news for last. The Nvidia GP106-100 mining GPUs will not be available on the regular market to the regular users apparently, they are going to be sold only in large volume to big customers such as cloud mining companies like Genesis Mining and/or other big private mining operations. So the whole thing should not make any difference to smaller home miners as they are most likely not going to be able to get their hands on the hardware anyway. That is of course prone to changing at some point if the crypto mining business continues to grow and forms a larger part of the revenue for companies like Nvidia, so that they could actually form a separate business unit to handle it. For now however the company does not seem to think that they should change their focus from gamers and gaming and mining is more like creating issues for them than helping… something that cannot be said is the same from AMD’s point of view where the market for their Polaris-based GPUs goes mostly in the hands of miners. The GeForce GTX 1080 Ti is the latest addition in Nvidia’s lineup of high-end gaming GPUs, but here we are more interested in another aspect for using these video cards – crypto mining. 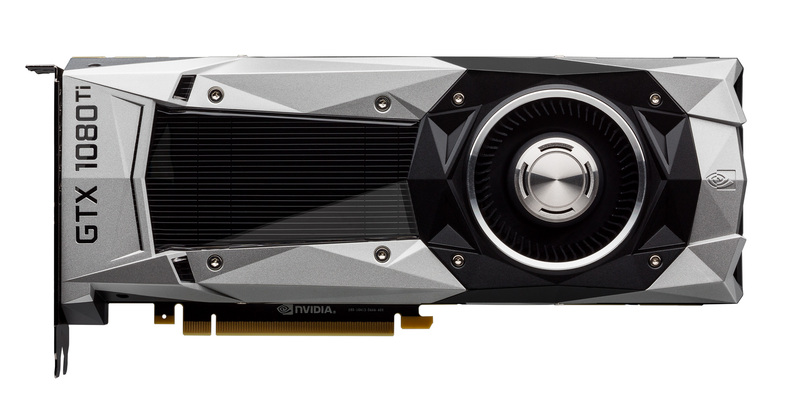 Tomorrow, March 10th, the sales of the new Nvidia GeForce GTX 1080 Ti should start priced at $699 USD, though initially there will be only Founders Edition models only with availability of non-reference designs expected to start showing for sale in April. The GeForce GTX 1080 Ti is based on GDDR5X memory clocked at 11 GHz, so the memory timings might not be the best for memory-based crypto algorithms, but the serious number of CUDA cores is there to compensate in terms of performance. Do note that the TDP of the new cards is set at 250W, though we expect that you should be able to lower the Power Limit a bit and get a better results than at stock settings. We have managed to do some quick testing of the new GTX 1080 Ti and the results do seem promising. 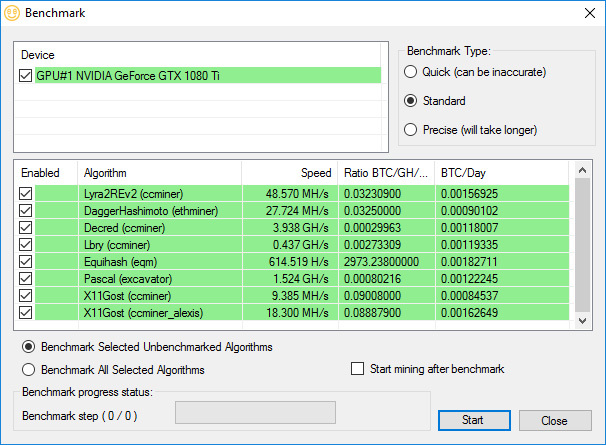 Starting with the currently more profitable algorithms on NiceHash and benchmarking with their NiceHash Miner that uses various fast performing miners (the miner used is noted after the algorithm). Not all of the latest and highest performing miners may be included, so we also ran some additional tests using the Claymore ETH miner that managed to provide a stable hashrate of about 31.8 MHS with stock settings of the card as well as the latest EWBF CUDA miner that managed to squeeze a bit more at about 625 H/s from the GTX 1080 Ti. You can use these numbers as a reference, including the expected daily profitability if selling the hashrate form a GTX 1080 Ti on NiceHash that their miner also reports. Hopefully we are going to be able to run some more benchmarks in the next couple of days and play around to see what the GPU is capable in terms of overclocking, though with the pretty high boost frequency and a TDP of 250W you should not be expecting a lot more at least from the Founders Edition version that is launching first. Do note that properly powering and cooling six of these GPUs in a mining rig is not going to be as easy as with GTX 1070 Founders Edition for example that consume much less power and are a much more popular choice by miners using Nvidia GPUs. Do note that with the launch of the GTX 1080 Ti, Nvidia is also going to have a new pricing for the GeForce GTX 1080 Founders Edition and GeForce GTX 1080 partner boards that will get a bit more cheaper. There is no word on reducing the prices of the GTX 1070 as well however. Furthermore two new models with higher clocked video memory should be available soon, the GeForce GTX 1080 with 11 Gbps along with the already available 10 Gbps model as well as GeForce GTX 1060 9 Gbps along the already available 8 Gbps versions. The faster memory variants might be of interest especially for the miners that are into mining crypto currencies based on algorithms that are more memory dependent such as ZEC or ETH for example.